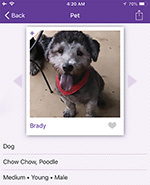 The Tewksbury, Massachusetts couple didn’t know for sure, though, because they wouldn’t get to actually meet Brady until just minutes before taking him home. 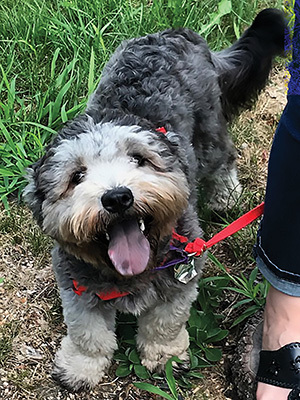 Like so many dogs adopted over the past decade or so in the Northeast—a region where shelters have fewer local dogs —Brady (since renamed Folly) had started his life south of the Mason-Dixon line. “Dogonomics is really what it is: Pretty simple supply and demand,” said clinical associate professor Emily McCobb, V00, VG02, director of Cummings School’s Shelter and Community Medicine Program and assistant director of its Center for Animals and Public Policy. “We’ve made huge strides with pet overpopulation in New England.” However, spaying and neutering is less common in other parts of the United States, and healthy homeless dogs and puppies end up being euthanized simply because there are far more of them than the shelters can care for humanely. 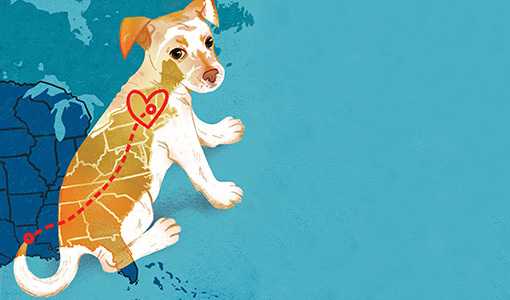 As a result, rescue groups and individuals from these regions routinely move dogs—and lately, cats too—en masse to the Northeast, where they can find homes and escape euthanasia. 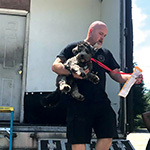 The country’s oldest documented humane relocation program seems to have started in 1991 at North Shore Animal League in Port Washington, New York, and arrived in Massachusetts a few years later, when the Northeast Animal Shelter in Salem began doing transports. But the practice really took off in 2005, when Hurricane Katrina exposed the extent of the homeless animal problem in other parts of the country. McCobb estimates that today, 20,000 or 30,000 New England pets originated in the South, Midwest, and parts of California—but there are no solid numbers. And that’s not all that remains unclear about the practice. Part of the reason for this is the wild west nature of the burgeoning movement, McCobb said. A lot of transports occur under the radar, with pets arriving on trucks operated by professional transport services hired by rescue operations or in vans run by good-hearted, loosely organized volunteer groups (or even in the cars of prospective owners, who decide to make the trek themselves). “The bulk of the animals are coming through informal channels,” McCobb said, “and there’s no way to track that.” One of the surprising preliminary findings of the first study she and Dowling-Guyer conducted is that not everyone transporting dogs to Massachusetts is doing “basic things you assume everyone would do”—sometimes not even vaccinating animals, which is a significant public-health concern. Tracing a rescue dog’s long route from a high-kill shelter in Tennessee to a loving home in Massachusetts. 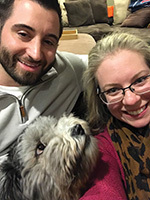 After more than a month of searching for a rescue dog, Andrea Chadis and Matt Regis, of Tewksbury, Massachusetts, found an online profile of Brady, a chow-poodle mix, and fell in love (they’ve since renamed him Folly, after a favorite South Carolina beach). Then being fostered in Tennessee, Folly came north via a rescue organization that moves animals from high-kill shelters to areas where there are not enough pets available for adoption. We want to see your rescue dogs! Send your photos to genevieve.rajewski@tufts.edu or via Facebook or Twitter to @TuftsMagazine.